This week, before we look at some awesome RPGs on Kickstarter, let me point you toward the Gaming To The Rescue – RPG Hurricane Relief Roundup article on EN World. It’s a list of the RPG bundles that you can purchase with the proceeds going to charities that are assisting with the recoveries from the recent hurricanes. 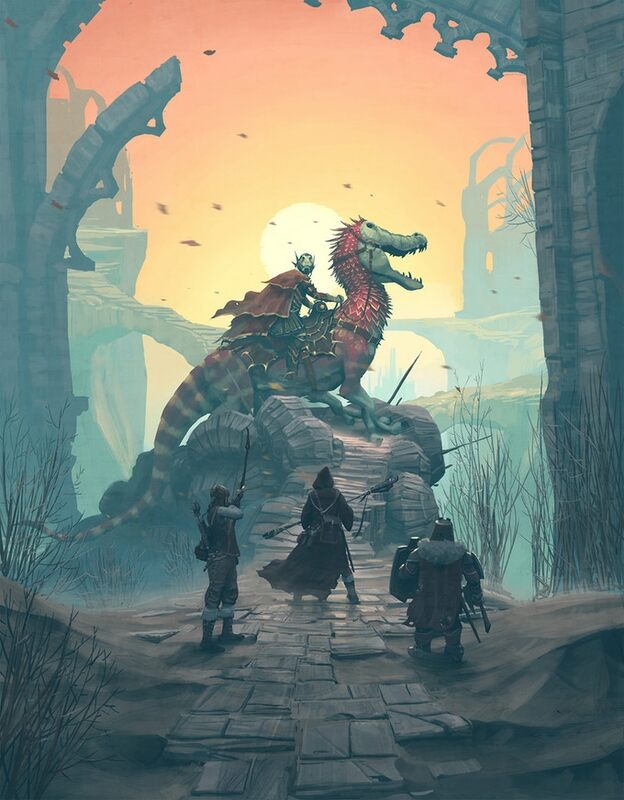 After counting down Forbidden Lands, Devil’s Swamp, Metahumans Rising, Warlords of Mordecai, Mini-Dungeon Tome, and Super Powered Legends, I recommend checking out those bundles and helping to improve the world while rewarding your gaming table with new content! Ends on Thu, October 12 2017 3:00 PM EDT. “Retro open-world fantasy RPG by the grand masters of Nordic roleplaying, based on the award-winning Mutant: Year Zero game system. In Forbidden Lands, the player characters are not heroes sent on missions dictated by others – instead, they are raiders and rogues bent on making their own mark on a cursed world. They will discover lost tombs, fight terrible monsters, wander the wild lands and, if they live long enough, build their own stronghold to defend. Nils Gulliksson’s art enthralled a generation of Swedish kids in the 1980s. For many, he was – and still is – the fantasy artist. His iconic gritty inked style showed a down-to-earth yet wondrous brand of classic fantasy archetypes. Now, thirty years later, these illustrations will come to life as never before. Forbidden Lands will contain both classic art pieces and new work by Gulliksson. So, what do we mean by a retro RPG? In Forbidden Lands, you will play raiders and rogues in an unforgiving world, but what you do is up to you. 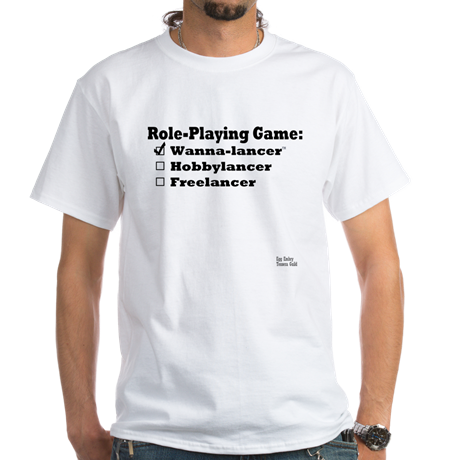 RPGs from the late ’70s and early ‘80s often had this open approach to adventuring. You were free to roam a map and discover its secrets and treasures. This is something we aim to recapture – with the support of modern game mechanics. The sandbox approach to gaming gives the players the freedom to make their mark on the game world however they want – if they can survive long enough to tell the tale. Forbidden Lands uses the Year Zero game engine as does Mutant: Year Zero, Coriolis – The Third Horizon, and Tales from the Loop RPG. Is it a good system? Here’s John McGuire’s praise for Tales From the Loop and below are the awards that the engine has earned since 2015. The system is versatile and well-loved and, if the Forbidden Lands Kickstarter reaches 1,800,000 SEK (just north of $220,000) then the Fria Ligan/Free League will create an Open Gaming License and everyone will have the opportunity to create content using their mechanics. That opens up a world of possibilities for fantasy, post apocalyptic, sci-fi, and the growing kids on bikes genre. For me, their pitch, these awards, and the OGL possibilities are all I need! Ends on Thu, October 12 2017 10:00 PM EDT . “Investigate ancient terrors in the heart of the Bridgewater Area during the 1920s. Dare you enter the Hockomock? The Devil’s Swamp is a Call of Cthulhu adventure book for the classic 1920s era, licensed by Chaosium. The book contains a series of five or more adventures set in the Hockomock swamp in Massachusetts to be used with 7th edition Call of Cthulhu RPG. As a member of the Bridgwater Preservation Society, you and your friends investigate the stories people plague the city and area with. The stories the police won’t investigate, or quit on way too easily. Living next to the Hockomock, at the heart of what will later become known as the Bridgewater Triangle, gives you easy access to delve into any of the stories that arise. The Hockomock Swamp, named the Devil’s Swamp by the original English settlers, is a known site for paranormal activity. Everything from Bigfoot, aliens, thunder birds, huge snakes, strange lights, Puckwudgies, Native American curses, cultists, mutilated animals and more have been reported in the area. So join me and my team as we help unravel the Mythos tied to the mysteries of the Hockomock. At Gen Con 50, John McGuire, Leland Beauchamp, and I had the opportunity to play Call of Cthulhu with Danny O’Neil of Hammerdog Games. Danny brought the atmosphere and horror of that game to life (you can read John’s account of it here). After that session, I’ve been interested in playing more CoC and this Kickstarter is offering just the right product. 1920s swamp with D&D-looking monster. Sold! “Metahumans Rising is a tabletop role-playing game (RPG) embodying the drama, creativity and action of the superhero genre. If this sounds like it can shift the direction or focus of a story, it can! Don’t worry GMs, the core book includes guidelines for quickly generating threats ranging from street gangs to giant monsters to a planet killing meteor hurdling towards earth. It’s easy to integrate two fisted action with environmental threats, ramping up the danger and comic book feel. Why am I covering this game? Because it looks awesome, because you get to play a superhero, because Dave Silva of House Dok Productions did an interview with me [it’ll be up on Thursday], and because you can create an iconic NPC for the universe as a backer reward. The game uses an original engine, features a superhero universe, and looks great, and it was an easy decision to cover it. Ends on Sun, October 15 2017 9:01 AM EDT . This is an all-ages RPG. 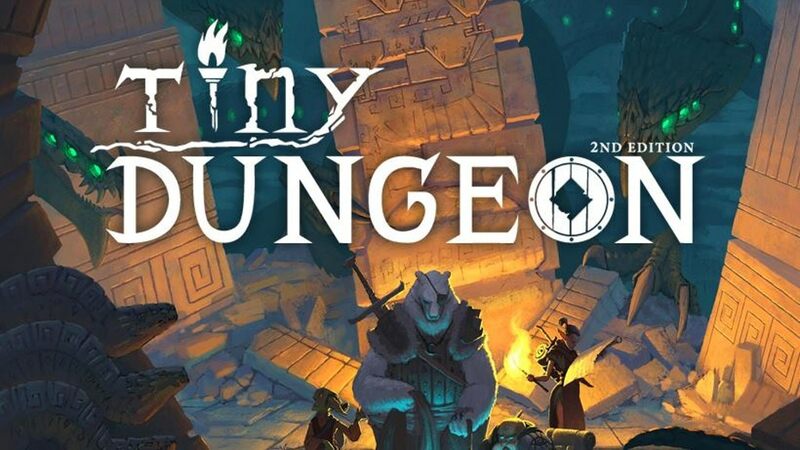 Compared to “adult” RPGs, there has not been a ton of all-ages options on Kickstarter this year, yet those we’ve had – Gauntlets & Goblins, Tiny Dungeon 2e, and this – look fun and perfect for the target audience. These games are a good start toward creating an array of all-ages RPGs and that’s what I want to see, a variety of choices with something for everybody. For its part, Warlords of Mordecai offers something unique, it’s a RPG/card game targeting the youth market. I’m interested in seeing how it plays since it’s not just one game type or the other. Ends on Mon, October 16 2017 5:00 PM EDT . “Easy grab-and-go mini-adventures! These beautiful hardcovers include 120+ short adventures for 5th Edition or Pathfinder RPG. Over 120 adventures for 5th Edition & Pathfinder RPG! Mini-Dungeons are two-page adventures for 5th Edition or Pathfinder RPG which are setting agnostic and are easily inserted anywhere in your campaign. These grab-and-go adventures are great when you need something in a pinch! This tome contains 120+ adventures spanning over 240 pages (more with stretch goals)! The layout will be completely redone from the ground up and new stationary backgrounds, graphic effects, and artwork incorporated. Finally, pending stretch goals–we’ll add more content and wrap this all into a single, easy to use volume with reference tables, monster glossary, and more. With additional stretch goals we hope to add special guest authors, new artwork, and a gorgeous cover to this hardback book. We’re starting this project with 100 adventures and 200 pages; each Mini-Dungeon Stretch Goal increases the book by 2 pages, so let’s get rolling and see just how big we can make theMini-Dungeon Tome! Are you an Adventure-A-Week fan? Do you want a quick grab-and-go adventure? If so, this Kickstarter is the one stop shop for all of their published mini-dungeons and it’s worth checking out. 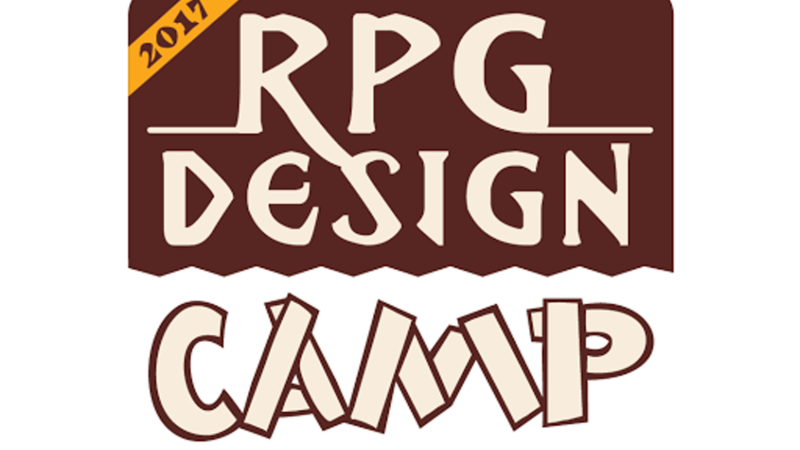 But, if you’re not familiar with their work, they have a number of free samples on DriveThruRPG to test out here. Ends on Tue, October 17 2017 2:59 AM EDT . “A full-color M&M sourcebook bringing the heroes, villains, and locations of Jacob Blackmon’s “Super Powered Legends” world to you! Welcome to the world of Super Powered Legends! In 2015, rpg artist and writer Jacob E. Blackmon began to create a super-heroic universe featuring iconic characters for use with the 3rd Edition Mutants & Masterminds rpg by Green Ronin Publishing. Over the last two years, there have been over 100 PDFs produced featuring over 180 heroes and villains to fill this world of wonder. And now, Rogue Genius Games is collecting these PDFs into one massive tome: The Super Powered Legends Sourcebook! At its base funding level, the Sourcebook will feature all heroes and villains from every Super Powered Legends product — including the Disaster Day! adventure — up to date. In addition, the Sourcebook will feature information about using each character as a hero or villain respectively. As stretch goals are reached, the Sourcebook will expand to include additional information about different locations within the Super Powered Legends universe. This includes familiar countries like the United Kingdom, Romania, and China; and how these nations have changed to accommodate the existence of super-powered beings in their borders. Other locations include hidden worlds on Earth, such as the sunken nation of Atlantis and the mysterious City of Monsters: Agartha. Beyond Earth, exists interstellar beings of cosmic power and high adventure. These alien worlds will also be expanded upon with additional stretch goal funding. Included in all of these expanded areas will be new art by Jacob Blackmon. Let me try and sale this in a different way. Rogue Genius Games is Owen “Starfinder Design Lead” Stephens’ company. What’s the hottest game of 2017? Starfinder, Owen’s game. This is an individual with a keen eye for good game design. Because I believe in him, it’s easy to believe in the product he’s pushing. In this Kickstarter, he’s sharing Jacob E. Blackmon’s The Super Powered Legends Sourcebook, a collection of heroes and villains for the 3rd Edition Mutants & Masterminds RPG by Green Ronin Publishing. This is an instance where if Owen likes it, it must be good and if you play M&M, this is a safe bet. Ends on Fri, October 6 2017 11:13 AM EDT. Why signal boost this? Because Alan Bahr was nice enough to do an interview with me here, and the game is all-ages, and I have the privilege of gaming with Alan. Ends on Thu, October 26 2017 2:11 PM EDT . Why signal boost this? Because Venger Satanis is love! Tagged AAW Games, Devil's Swamp, Forbidden Lands, Free League, Fria Ligan, House Dok Productions, Kickstarter, Metahumans Rising, Mini-Dungeon Tome, Modiphius Entertainment, New Comet Games, Super Powered Legends, Vanity Press, Wanna-lancer, Warlords of Mordecai. Wow. That Mini Dungeon Tomb, looks pretty good. It does! I wonder how your maps would compare side-by-side? Those maps are on another level… My maps are like something you might get at the virtual dollar store. You’re right, Venger Satanis is love!